Meningitis is an inflammation of the membranes covering the brain and the spinal cord, known as meninges. Meningitis is the most dangerous of all the common causes of hearing loss, as it can make the patient deaf. A study shows that as many as 10 percent of children suffering from meningitis lost their hearing ability after recovering from illness. The symptoms of meningitis are quite similar to that of flu, hence it might be quite difficult to diagnose at early stages. The symptoms are stiff neck, fever, headache, nausea, joint pain, sensitivity to light and rashes. (A) Viral Meningitis: This is the least severe type of meningitis. This is the most common meningitis which might take upto weeks to recover. (B) Bacterial Meningitis: This is the most severe type of meningitis which can be fatal. A study shows that as many as 1,70,000 people lose their lives to meningitis every year. (C) Fungi: This meningitis can cause severe infections, but it is not as common as the ones mentioned above. Meningitis can cause temporary or permanent hearing loss. Studies show that meningitis victims lost their hearing within the first 24-48 hours. It is therefore very important to ensure that patients are given appropriate treatment within this time frame as it is very important. The best way to prevent meningitis is vaccination. Vaccines are available for some bacterial meningitis. One of the best examples of the victims of meningitis is Helen Keller who doesn't need any introduction. She lost her vision and hearing at an age of less than 2 years. 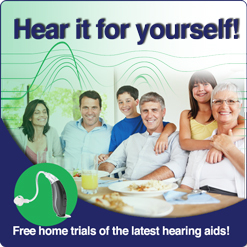 If given attention on time, treatment for hearing loss is possible.